Some 60 people are believed to have died and many injured after a church roof collapsed during a service in Nigeria December 10. The Reigners Bible Church International in Uyo, in the Akawa Ibom state, was still under construction when the crowded service was held, AP reports. Workers had been hustling to prepare it in time for the ceremony to ordain founder Akan Weeks as a bishop, when the disaster occurred. Among those in attendance were Governor of Akwa Ibom State Udom Emmanuel, who was not injured in the collapse. Other high level officials are thought to have been in attendance and may be among the dead. The building collapsed from the middle, witnesses report. Otobong Asukwo, who was at the ceremony, told Nigerian newspaper the Premium Times that he had stepped out of the building right before its metal girders and corrugated iron roof caved in. "The collapse happened from the middle of the church roof. I noticed that the support for the pillars in the middle were removed, perhaps to allow for more space for people to sit," he said. "The governor and his people were inside the church. But they escaped because they were sitting in the front and the roof collapsed in the middle on top of many people." The bodies of at least 60 victims have been retrieved, according to AP, but the toll could rise as debris is removed, a rescue official said. However, a police spokeswoman told the Premium Times that the injured are still being taken to hospital and that some who appeared lifeless may simply have lost consciousness. "So we have to wait for confirmation of status of all victims from the medical personnel before we can give any figure," she said. In a statement through his spokesman, the governor said the state will look into whether the building was in violation of construction standards. 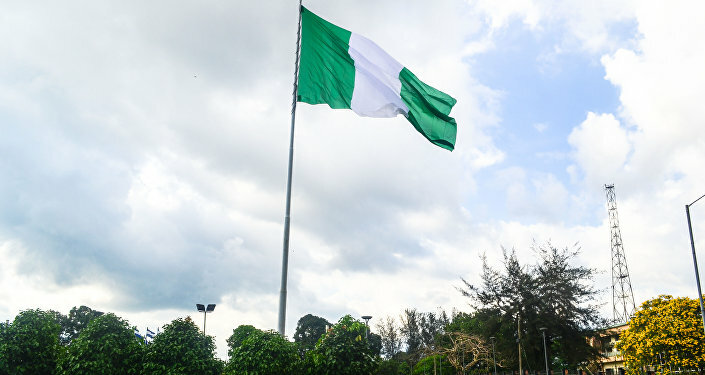 "A high-powered panel of enquiry is being constituted to ascertain the immediate and remote factors leading to the collapse of the church building with a view to forestall the re-occurrence of such incident and bring to book persons found to have compromised professional standards in the construction of the building," the statement read‎, the Nigeria Daily Post reported. Buildings collapse with tragic frequency in Nigeria because of the corruption that pervades the construction industry, allowing shoddy materials and practices to be used and inspectors to be bribed to look the other way. In 2014, 116 people died when a guesthouse associated with the Synagogue Church of All Nations collapsed in Lagos, AP notes. A coroner found that the structural failures that led to the collapse resulted from design and detailing errors. The founder and church trustees have been accused of negligence and manslaughter, but have not yet been brought to trial. President of Nigeria Muhammadu Buhari has conveyed his condolences to the victims of the tragedy, speaking with Emmanuel and tweeting on the subject.